Calvin Ninomiya. Courtesy of Hannelore Ninomiya. Chevy Chase, Maryland. 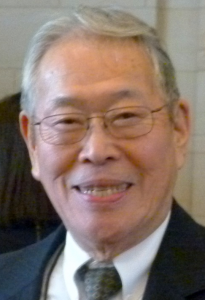 Calvin Ninomiya, Esq., retired chief counsel of the US Treasury Department Bureau of Public Debt and an official of several major Nisei veterans organizations, passed away on February 28, 2014. Ninomiya retired from the United States Treasury in 1995 after 40 years of service. He was retained by the Treasury as a consultant to help dozens of developing countries draft legislations and to serve as intermittent legal advisor to the Treasury’s Office of Technical Assistance. He served as acting chair of the National Japanese American Veterans Council, which has been studying the role of the US Military Intelligence Service in the successful occupation of Japan following World War II. He also served on the Steering Committee of the National Veterans Network (NVN), a group of Japanese American veterans organizations and community groups, which sought an amendment to include the Military Intelligence Service in the Congressional Gold Medal Bill, assisted Congress in the presentation ceremony, and sponsored the two days of celebratory activities in Washington, DC in November 2011. 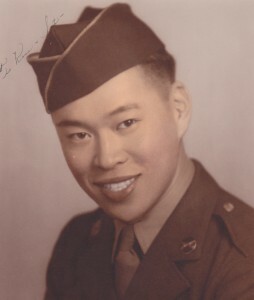 Ninomiya served as the general counsel of the Japanese American Veterans Association (JAVA) and was a member of its executive council. He previously served as the organization’s vice president for several terms. In addition, he developed and managed the JAVA scholarship program since 2008. He is survived by his wife, Hannelore, for 55 years, children Lisa, Roland and Erik, elder sister Rose Masuda, and several nieces and nephews. Memorial service will be held on March 15 at 11:00 AM at Westmoreland Congregational Church, 1 Westmoreland Circle, Bethesda, MD 20816. In lieu of flowers, contributions may be made to Densho, which is devoted to preserving the testimonies of Japanese Americans unjustly incarcerated during WWII, (http://www.densho.org/); or to the Metropolitan Opera, (http://www.metoperafamily.org/).